Your sweetheart may have the key to your heart, but a proper diet and regular physical activity can be the key to a healthy heart. This Valentine’s Day, indulge your sweetheart with a heart-healthy gift or date. 1. Rather than tempting your beloved with chocolates, consider a gift that has more permanence. Search for a poem that describes your feelings and write it on beautiful paper for a handmade Valentine. 2. Quality time is one of the most meaningful gifts. Bundle up and plan an active outing such as sledding, ice skating, gathering wood for a fire, or if you’re feeling adventurous, visit an indoor rock wall. 3. If your children are having a Valentine’s Day party at their school or day care, instead of sending candies, consider mini-boxes of raisins, mini-bags of pretzels, pencils or stickers as tokens of their friendly affection. 4. Cooking at home is an excellent way to control the quality and amounts of what you eat. Take a date to a local cooking class to practice your skills or learn a new technique. 5. Prepare a romantic candlelit dinner at home using one of our heart-healthy recipes. 6. If you go to a restaurant to celebrate, check out our heart-healthy tips for dining out. 7. Give to one another by giving back. Ask a date to volunteer with you at a local charity. Giving back is a healthy habit that will boost your mood and beat stress. 8. Visit www.ShopHeart.org for gift ideas that benefit the American Heart Association. 9. se this day as an opportunity to tell your loved one how you feel about him or her, and share ways that you can support each other’s health and wellness. Get started by taking the My Life Check Assessment tool. 10. Still craving something sweet? Send a fruit basket to your loved one that has natural sugar as well as healthy nutrients instead of sending sweets with added sugars. 11. Spice it up – try cooking at home with healthier seasonings and avoid prepackaged mixes that may contain a lot of salt. Instead, add some spice with some fresh hot peppers. Remove the membrane and seeds first, then finely chop them up. A little goes a long way. 12. Sharing is caring – if you do go out for a romantic dinner date, order one entrée to share. Many restaurant servings are enough for two – splitting will keep you from overdoing it. 13. Don’t forget to love Fido, too! Give your pet a Valentine and remember to walk or exercise them daily – getting active will benefit your health and your bond with your pets. 14. Take it slow – if you were gifted a luxurious box of chocolates from your sweetie stick it in the fridge or freezer and enjoy in moderation over several weeks. 15. Still seeing hearts? You’ve seen hearts all month long; look for them at the grocery store and select products with the heart-check mark.These items are low in saturated fat and cholesterol. 16. One of the best things you can do for your heart is to give up smoking or help a loved one quit. Smoking is the most preventable cause of premature death. 17. Go fish – did you know for ideal health you should eat fish (particularly oily fish such as salmon, mackerel or tuna) twice a week? 18. Take a walk– walking is free, and costs nothing to get started. Walking for as little as 30 minutes a day provides heart-health benefits. 19. Instead of frying foods– which adds unnecessary fats and calories – use cooking methods that add little or no fat, like stir-frying, roasting, grilling or steaming. 20. Try something new – dare yourself to try a new fruit or vegetable. Next time you’re at the store pick up something you’ve never made before. Many grocery stores have free recipe cards in the produce section or just type the food into your favorite search engine. 21. Rekindle an old flame– try preparing one of your less-favorite foods in a new way. Not crazy about bananas? Try grilling one for dessert. Pop grapes in the freezer for mini-ice pop snacks. 22. Stay hydrated – staying properly hydrated helps you feel (and look) better and water is a great alternative to high-calorie, sugar-sweetened drinks. Treat yourself to a fun new water bottle to encourage the habit – if it’s always handy, you’re more likely to drink up. 23. Get active inside – winter is almost over, but there are plenty of ways to get moving indoors that don’t involve a gym membership; start mall walking, hit the stairs at work, or check out a yoga video form the public library or your local video store. 24. Know before you go – make it a point next time you go out to eat to look up the nutrition information for the restaurant you’re going to (most major chains have this online) and note the nutrition information for what you plan or usually order. Just knowing what you’re eating is a good step in the right direction. 25. Make a change – pick one small thing you can change about your daily diet – start buying skim milk, order the nonfat latte, skip the afternoon vending machine visit or add an extra veggie to your dinner plate. 26. Snacking isn’t bad if done in moderation and eating a little throughout the day can actually keep you from overdoing it at meal times. 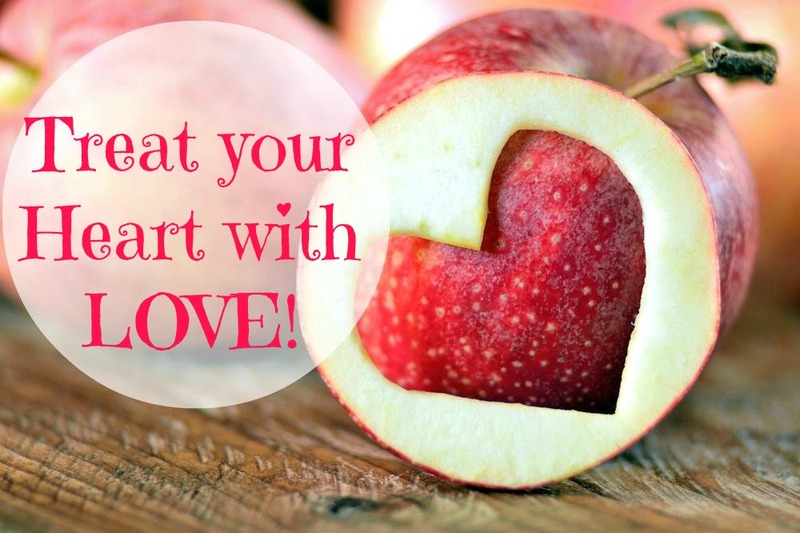 Check out some of our heart-healthy snack ideas. 27. You can make many of your favorite recipes healthier by using lower-fat or no-fat ingredients. These healthy substitutions can help you cut down on saturated fats, trans fats and cholesterol, while noticing little, if any, difference in taste. 28. Whether cooking or making dressings, use the oils that are lowest in saturated fats, trans fats and cholesterol – such as canola oil, corn oil, olive oil, safflower oil, sesame oil, soybean oil and sunflower oil – but use them sparingly, because they contain 120 calories per tablespoon. Thank you! Of course I will join your blog. I already have. Nice job you’ve done over there! Best wishes to you too!